I spent spring break visiting my Uncle John and Aunt Kathy who live in San Ramon, California. 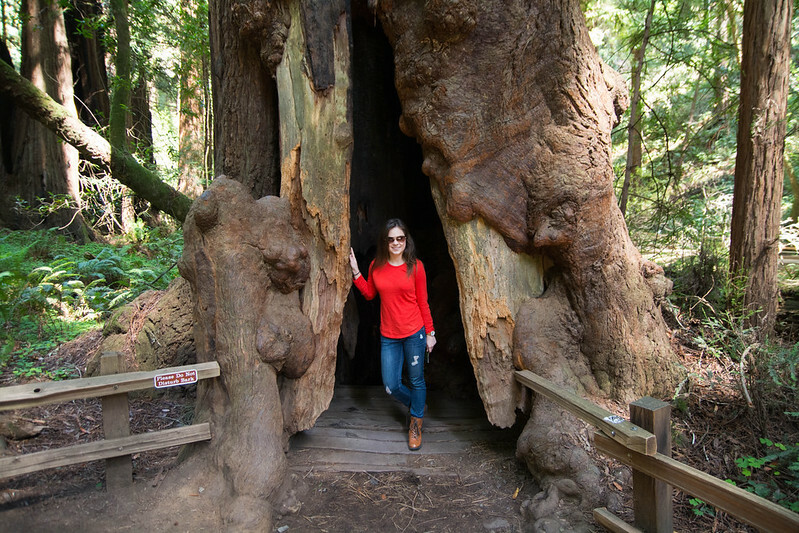 They're amazing tour guides, and I had the best time exploring the Bay Area. California is a huge, diverse, and beautiful (as I happen to know from riding Disney's Soarin'), and I am so excited to get to know this state. 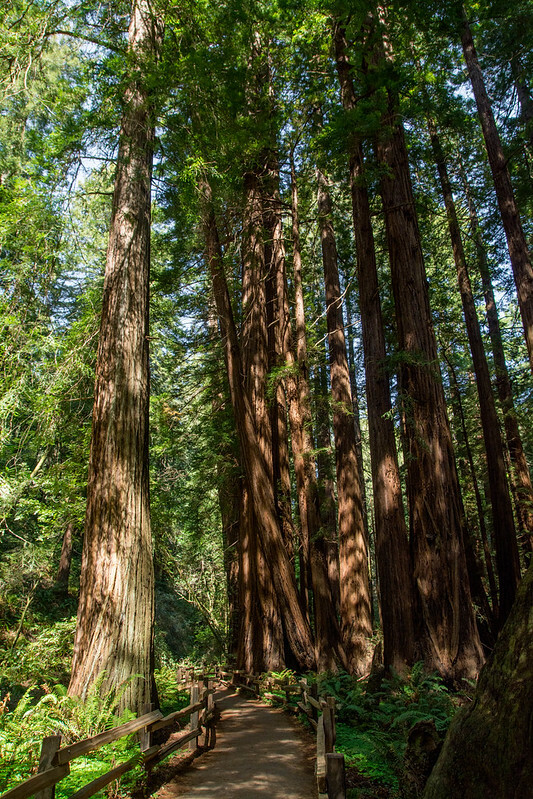 As a California newbie, I still hadn't seen the redwoods. 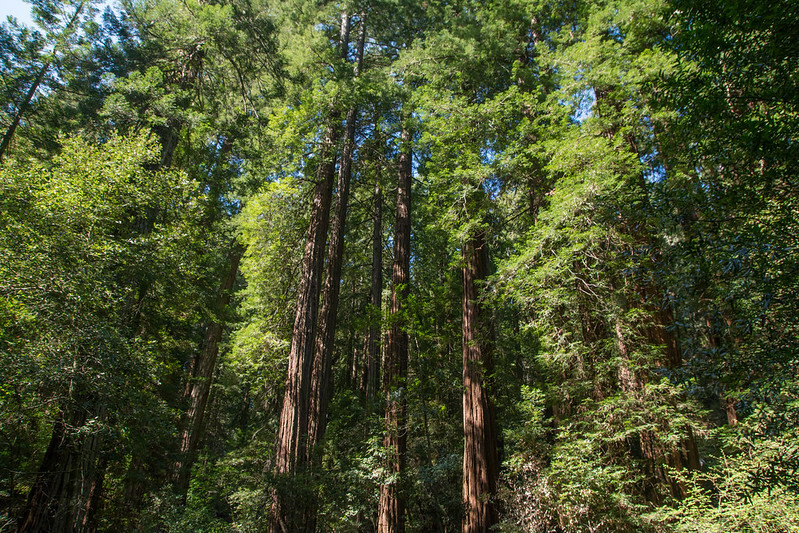 My Uncle John showed me around Muir Woods National Monument, located north of San Francisco. 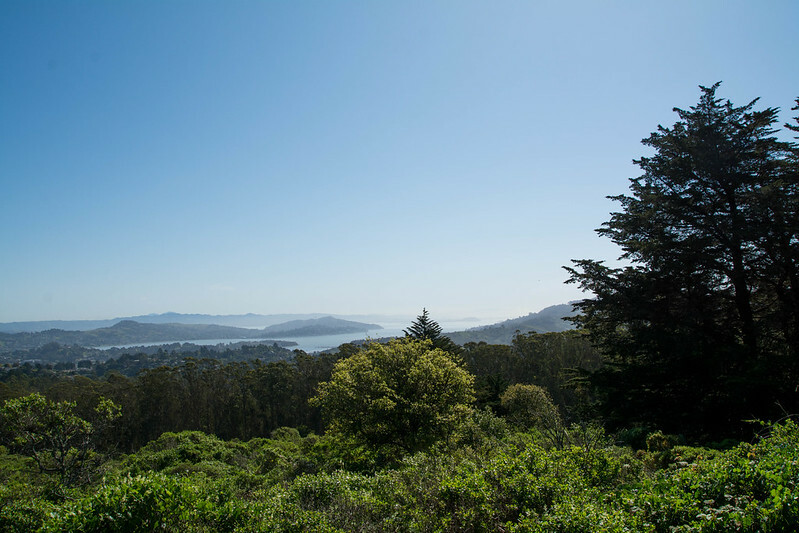 It's actually part of the Golden Gate National Recreation Area. We arrived around 11 AM, and Uncle John was surprised at the large number of cars already there. 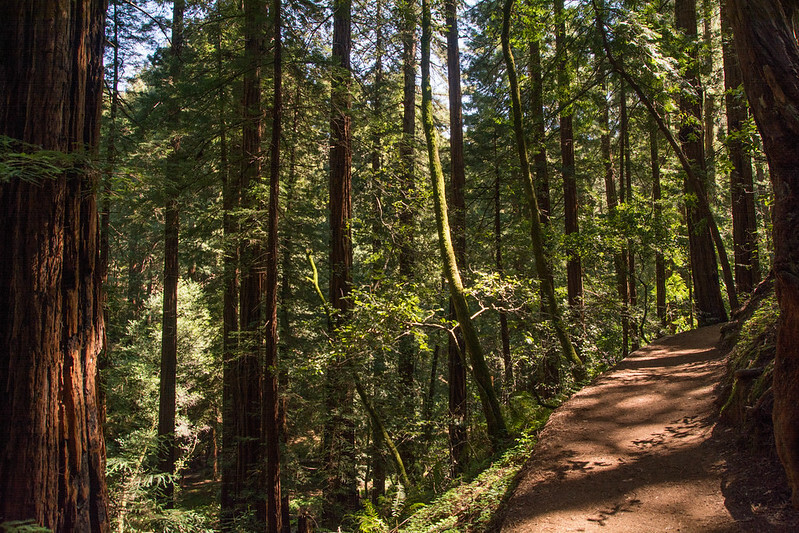 Parking at Muir Woods is already limited, and due to the crowds, we had to park on the road and had a nice little hike to the entrance. My uncle had purchased a pass available to seniors for $10 that allows lifetime access to any national park or monument for him and up to three guests - what an incredible deal. Otherwise, access is $7 for adults (16 and older) and free for children. The admission fee is also waived on national holidays. 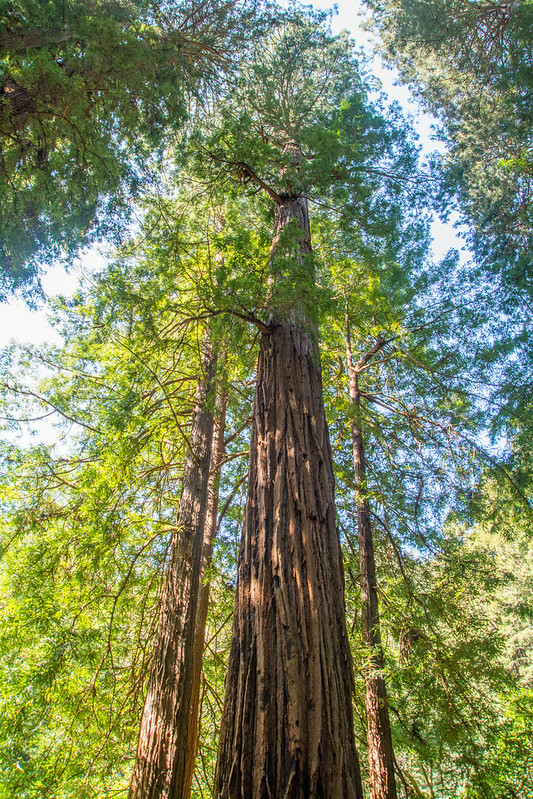 Before the logging industry came to California, there were around two million acres of redwood trees along the coast, but by the early 20th century, most of the forests had been cut down. 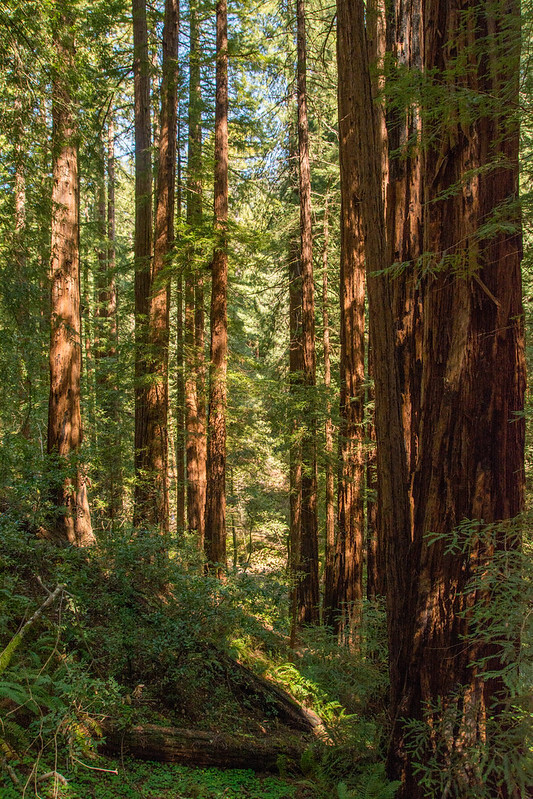 However, due to its limited accessibility, Redwood Canyon remained uncut. 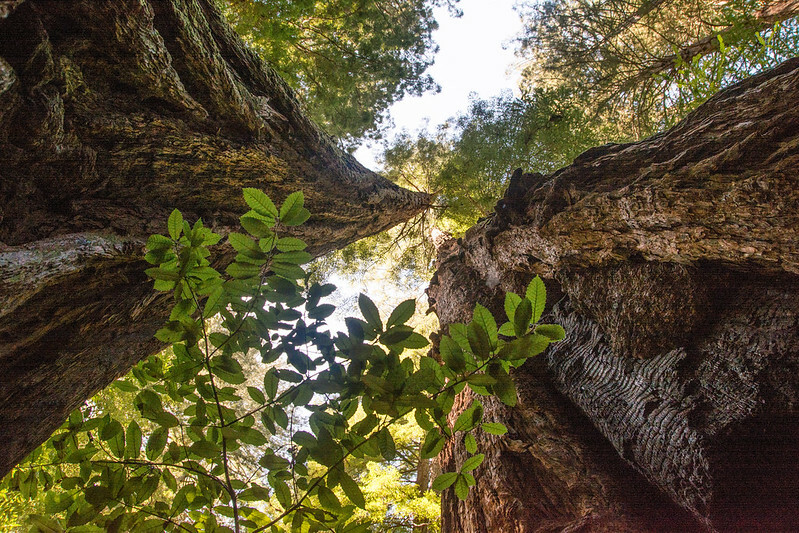 William and Elizabeth Kent sought to protect the redwoods and mountain above them, purchasing 611 acres from the Tamalpais Land and Water Company for $45,000. The Kents donated the land to the federal government, and in 1908, Theodore Roosevelt declared the land a national monument - the first to be donated by a private individual. 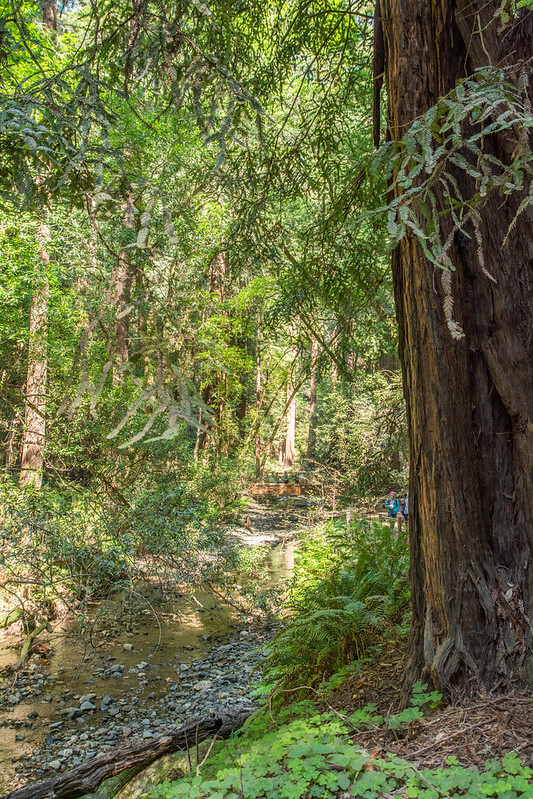 The Kents named the monument after John Muir, a naturalist whose environmental campaigns were critical to establishing the national park system. 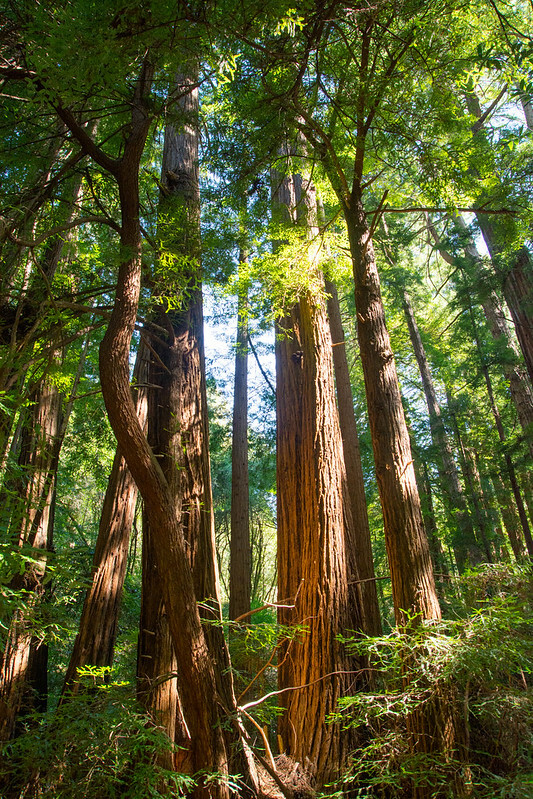 Muir Woods is home to Coast Redwood trees which can grow up to nearly 380 feet in height. 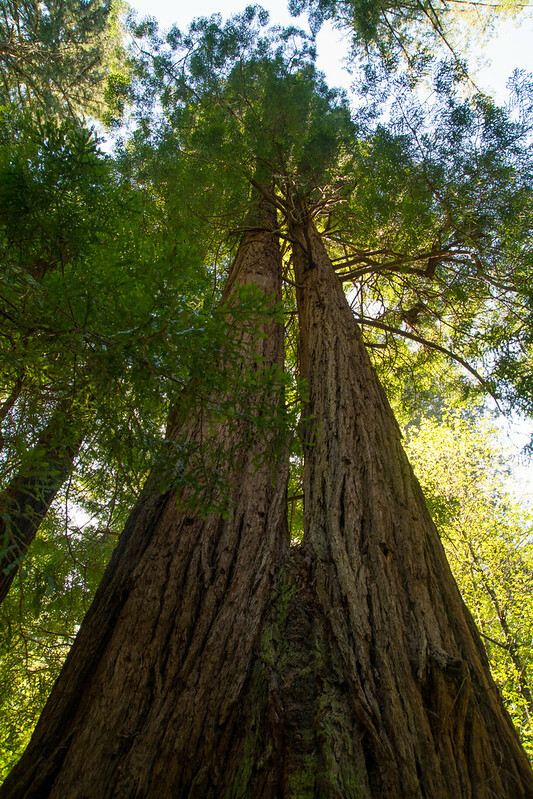 The tallest redwood in Muir Woods is 258 feet tall, and most of the trees are between 500 to 800 years old. Despite the large number of cars outside, we found that inside of the park, it was actually far from crowded. It was quiet, and we didn't see too many other people. The only time I spotted a school group was right beside the entrance. The trails here are very nice. Uncle John said they've improved them since the last time he had visited. Many of them are accessible and constructed of decking with hand rails. And venturing off of the decking, the dirt trails are of mostly level terrain. It's a very enjoyable hike, and we were blessed with beautiful weather. It was actually quite warm for the Bay Area in the spring (or, from what I'm told, the Bay Area in general), so we were appreciative of the shading from the trees. It's so big, it almost feels unreal! I am very grateful that the Kent family was so caring and generous to preserve this land so that it may be enjoyed by others for generations, and generations to come. The Earth is beautiful. There is beauty in nature, architecture, people, culture... beauty in the raw, the real, the mundane. And while I encourage others to travel and see as much of this planet as possible, I also encourage you to not dismiss or take for granted what exists in your own backyard. Often, you can discover something new in a familiar place. 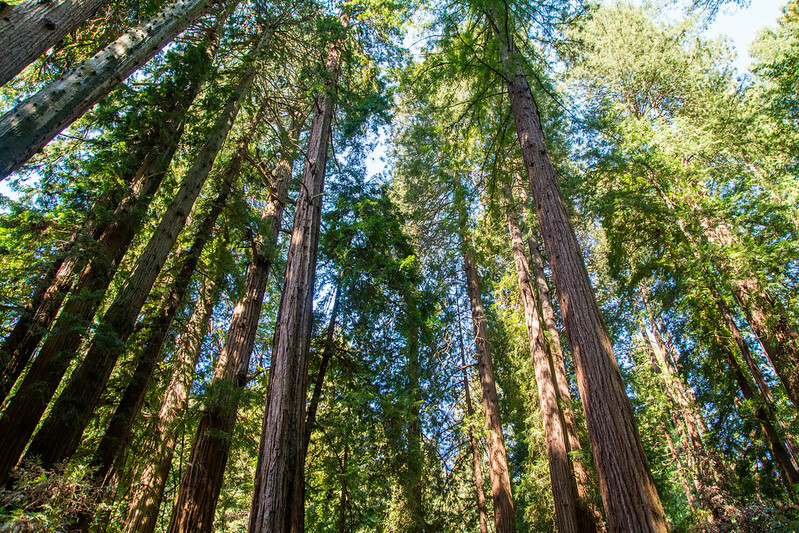 The National Park Service works to preserve and protect over 400 of America's National Parks, but you don't have to travel all the way to Yellowstone or Yosemite - Find Your Park today!